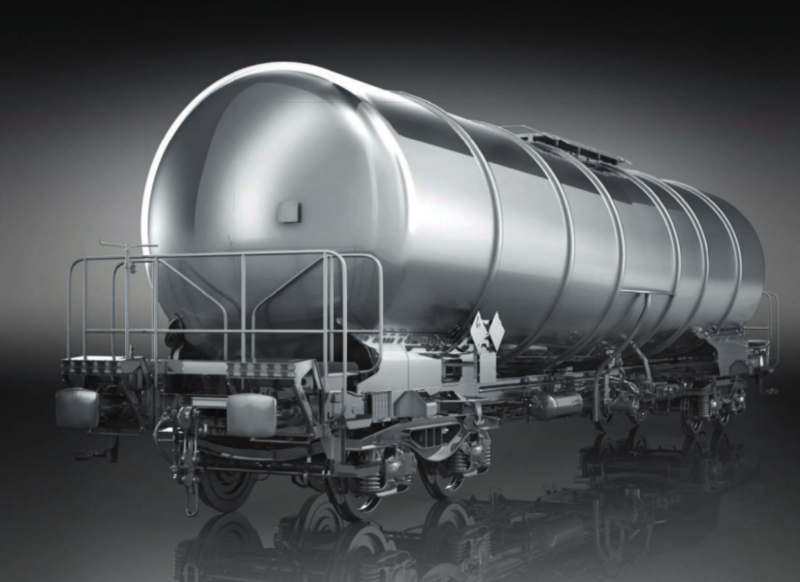 The wagon is designated for transportation without limitations on all European railway tracks for climatic conditions with temperatures from –20°C to +50°C; it is designed for transportation of ignition matters according to RID, Class 3. Filling device is installed in the upper part of the tank. Discharging from beneath through a bottom valve (mechanically controlled) and T-piece DN 100, or from the top through a rising pipe DN 80 (by means of the ball valve or TODO coupling).